Ethiopia’s new prime minister, Abiy Ahmed, has held talks with officials from opposition groups and civil society, state-affiliated media said, in the latest sign he is willing to push through political reforms announced in the wake of protests. 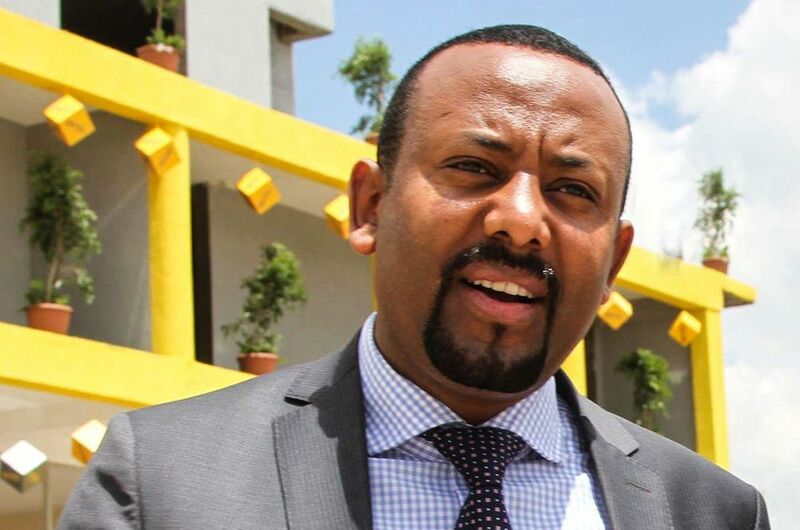 The 42-year-old former army officer was sworn in as premier on April 2 after his predecessor Hailemariam Desalegn resigned in February amid violent unrest that threatened the ruling EPRDF coalition’s hold on Africa’s second most populous nation. Since 2015, hundreds have died in the Horn of Africa country in violence triggered by demonstrations over land rights in its Oromiya region. The protests have since broadened into rallies over political rights. On Thursday, Abiy told dissident politicians and civil society leaders that he would “broaden the political space”, the state-affiliated Fana Broadcasting Corporation said. He “called on political parties to prepare for peaceful dialogue and negotiations”, it added. Abiy’s meeting came a day after he visited Ambo, a town in Oromiya that was at the heart of protests and clashes with security forces since 2015, where he pledged to address grievances. Faced with mounting unrest, Addis Ababa pledged a raft of reforms last year in a bid to reduce tensions. Since January, authorities say nearly 6,000 prisoners have been freed, most of which were detained for alleged involvement in the mass protests. Ethiopia, sandwiched between volatile Somalia and Sudan, is often accused by rights groups of using security concerns as an excuse to stifle dissent and media freedoms. It denies the charge. Posted by Above Whispers on April 13, 2018.